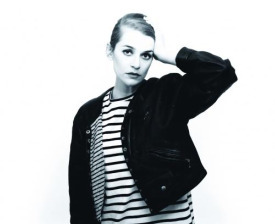 Who: El Perro Del Mar from Sweden. What: Id have this on my CMJ list if I were in New York next weekend. Swedens El Perro Del Mar will be doing a bunch of shows before heading out on the road with fellow Swedes Peter Bjorn & John. The new album (Love Is Not Pop) comes out on tuesday.